Stepping into Chicago's Reckless Records often results in a treasure or two following me home. 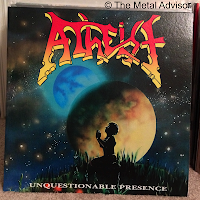 This time, Season of Mist's recent vinyl reissue of Atheist's Unquestionable Presence was the lucky winner and, despite being colored, not a purchase I regret. The pigment is astounding, with the transparent yellow a piercing glow against the usual boring drab, and easily among the most beautiful hues in my collection. 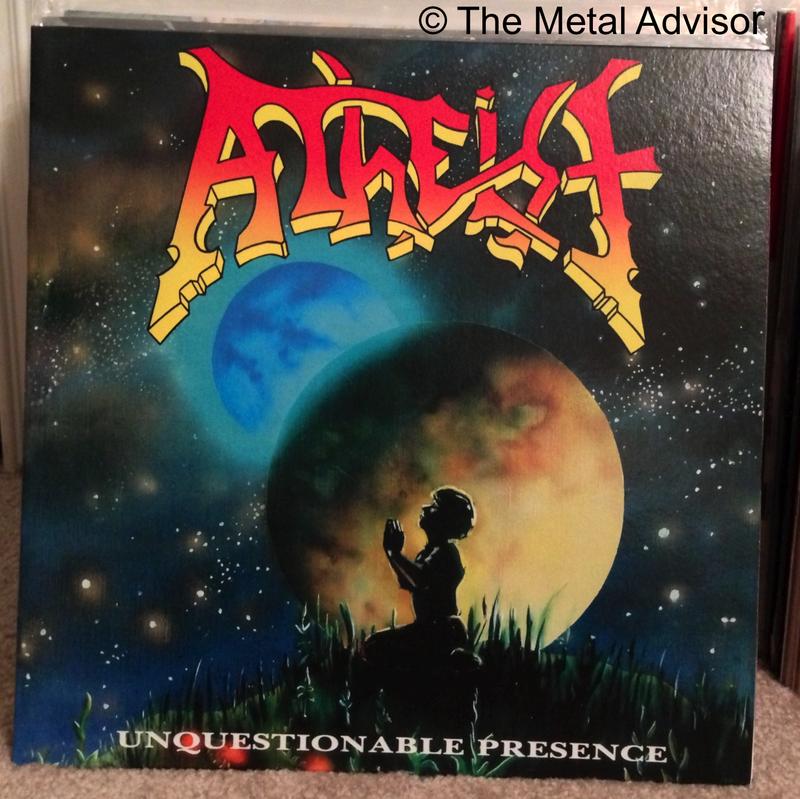 Unquestionable Presence is a record that, in my opinion, has long deserved a renewed spotlight showcasing its influence and place on metal's timeline. Season of Mist seemed to agree as well because, while the reissue is certainly plain, it offers a bare bones type of feeling that vinyl had in its heyday (and I suppose the early '90s, too, which was Atheist's heyday). 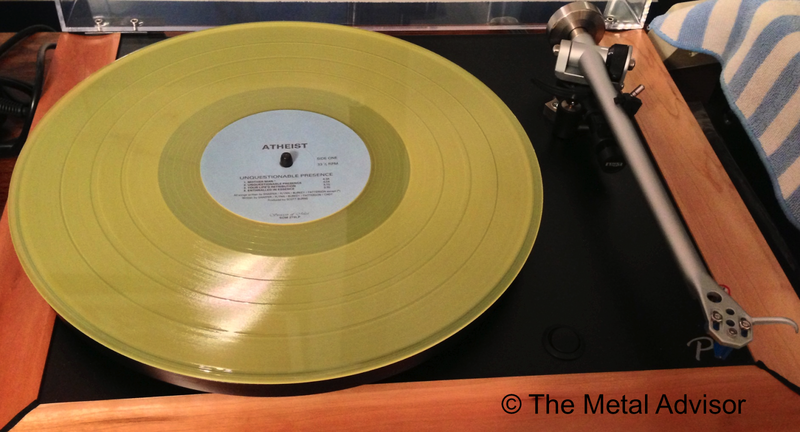 I tend to appreciate things like that, considering the record's label is printed in traditional-looking text. How refreshing! 500 copies of this beauty are scattered across the globe. 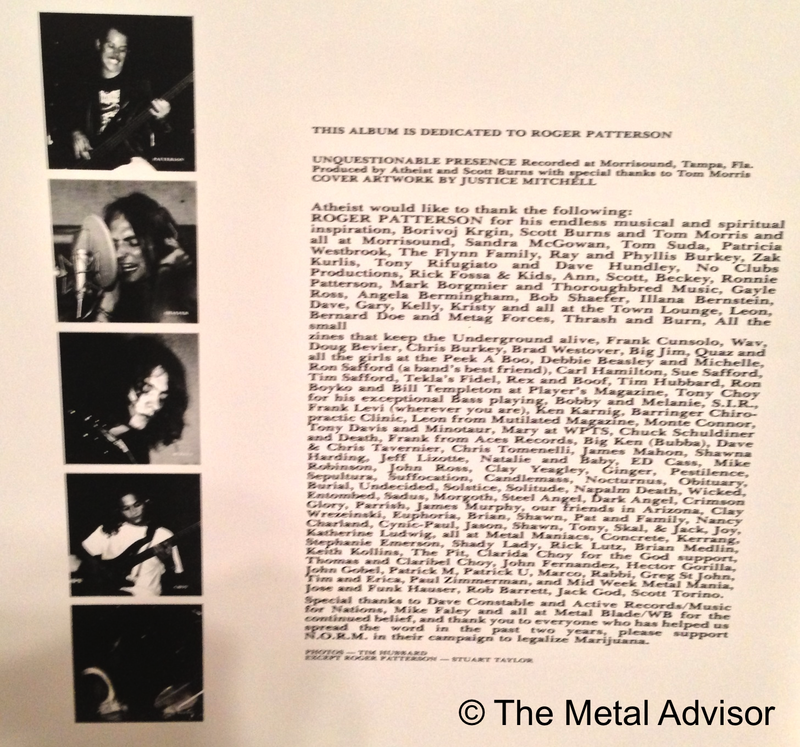 The packaging itself is in much the same vein, and the message noting Roger Patterson's passing is a very nice touch. 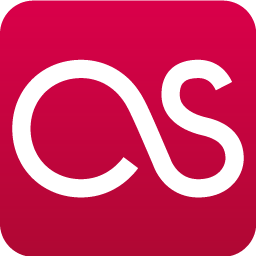 I typically have a few suggestions or "complaints" about nearly every vinyl release, but this time I'm fresh out of words. The presentation is just so reminiscent of the old days--minus the extreme color choice--that I can't find a single fault and instead choose to enjoy the record as it is. Bravo, Season of Mist. Bravo. 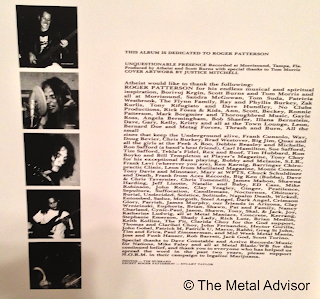 Simple, basic liner notes. Nothing to complain about here!